It’s great that you have worked a sweat at the gym and are raring to get that mean body and glowing skin from all that exercise. As firm supporters of a killer workout, we only encourage you to keep at it. But what about that meeting at work or the pending errand that you have to rush to with little time to spare? We give you here some tips to fix your hair after workout, really quickly, so that your hair looks like anything but a mess! Do you have time to shampoo? If you are not in such a rush and have the time to shampoo, then we suggest you go in for a nice and gentle shampoo or a cleansing conditioner in place of a shampoo. 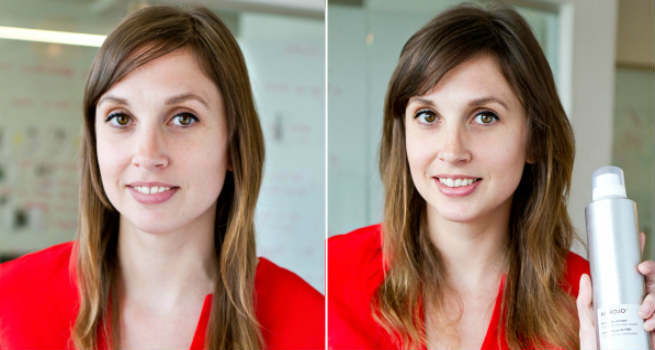 Cleansing conditioners are a big hit among women who want to prevent dry and brittle hair. Try the L’Oreal EverCreme Cleansing Conditioner or the Pantene Cleansing Conditioner to quickly wash and condition your hair at one go without wasting too much time in the shower. What’s more, you are bound to have really soft hair too! Do you have time to Blow-dry? Once you are done shampooing, go ahead to blow dry your hair only if you have the time for it. 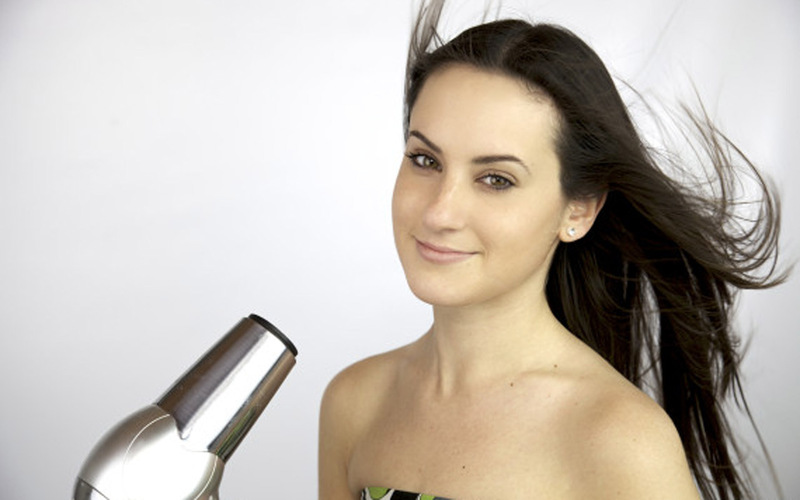 A shoddy half done blow-drying will leave your hair flat and lifeless. If you don’t have the time, gently soak in the excess water into a towel and to let the hair air-dry. Run your hands through your hair to give it some texture. Simply sport the messy look until your hair dries completely. 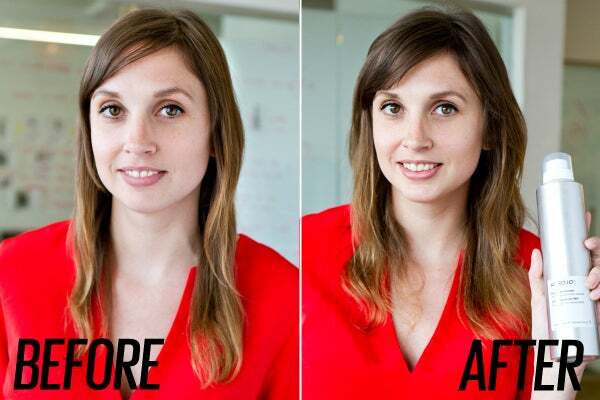 You could even twist a few strands of hair on either side and secure it at the back to make the hair more manageable. How about some dry shampoo? You don’t really need a shower to fix your hair after workout. The best way to get rid of sticky and sweaty hair after a workout is to use a dry shampoo. It will absorb all the oiliness and sweat from the scalp and leave it squeaky clean. All you need to do is to untangle your hair with your fingers. Then apply or spray on some dry shampoo onto your roots and blend it well with your fingers. Once done, comb with a wide toothed comb and secure it into a messy ponytail and you are all set! For best results, use a mildly scented dry shampoo and see how it leaves your hair smelling great! Don’t have time to shampoo? Worry not! First run your fingers or a wide toothed comb through your hair to untangle it. Next, use a blow dryer for 2-4 minutes to dry the hair. Use a water-based hair gel on your hair and continue to blow dry it with a round brush. This will prevent the hair from remaining flat. Once completely done, let your hair cool off a bit and them blow dry the ends one more time to add some bounce to the hair. Voila! You’re done! Who said you really need to shampoo your hair after a workout to look great! So you see, how simple it is to fix your hair after workout! Remember to wear a headband and secure your hair into a top knot when you are working out. That way, your hair will be tamed and easy to deal with after the workout. You could avoid tying your hair into a ponytail in order to avoid the elastic from breaking the hair.